This is the greatest invention since running water. I just did a months worth of edging in one Sunday afternoon. Love this. Buy it. You won't regret it. 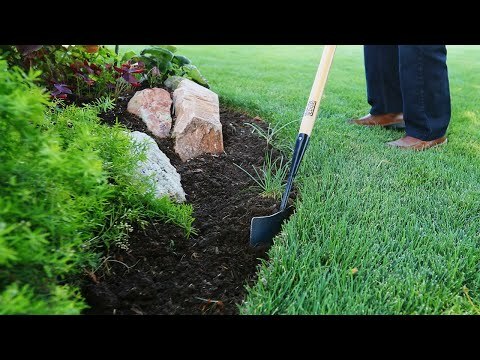 Easy to use and makes quick work of edging. This is a very handy tool that works as advertised. It's much easier to use when the ground is moist and soft. Once it arrived, I realized that it only works in one direction. Not a big deal if you're right handed but the required motion might be a bit awkward for a lefty. Getting edges around flower beds was always a challenge. Using a shovel, the edge was never straight. Grass was difficult to pull and, after quite a few tries, I'd give up and accept the results. I saw the Kwik Edge and figured it was worth a try. I now have the best flower bed edges ever. This tool is amazing. Easy to use, it not only creates a straight edge, it also pulls out any grass and cuts through roots. If you have a problem with your bed edges - problem solved with the Kwik Edge. Well made and useful around the garden bed edges. Great tool to use. I wish the soil where I live was softer, but regardless, I used the edger with good success. Thank you. I love it! Works like a charm. It's easy to get a nice straight or curved line. I’m very please with the ease of use of the Kwik Edge. I found it much easier to clean up the edges that weren’t too overgrown with grass. It took a little longer to clean up the areas the were overgrown; however, it was still manageable to remove what I needed. I am almost looking forward to the next time I need to use it; since, it was so easy for me to do. I used to avoid the task like the plague. 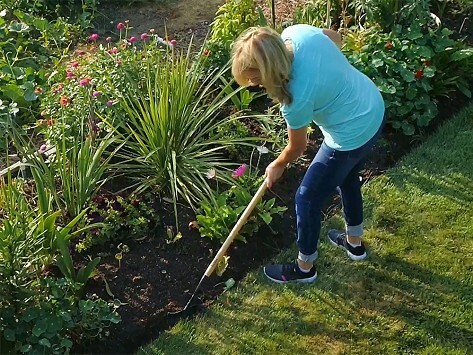 Creating a garden edger was a natural fit for Maker Wilson Svedin. This avid gardener was often complimented on his beautiful landscaping, particularly the well-manicured edges. The secret to Wilson's success was an early prototype of what would evolve into Kwik Edge once he retired.